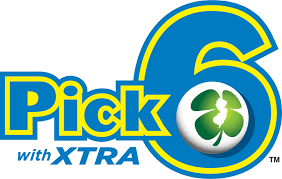 New Jersey’s original jackpot game, Pick 6 is one of the oldest lotteries in the US. Jackpots start at $2,000,000 and increase by about $200,000 for every rollover. Drawings for Pick 6 are held on Mondays and Thursdays, at approximately 7:57 PM EST. Make sure you purchase your tickets before 7:53 PM EST to qualify for the draw. Pick 6 has very straightforward rules. To play, simply choose 6 numbers from 1 to 49. If you match all 6, you take home the jackpot! You can also play the same numbers for up to 26 consecutive drawings by choosing the multi-draw option. For an extra cost of $1, players can use the optional XTRA game mode to increase any non-jackpot prizes they might win. If you match at 3 or more numbers, your non-jackpot prize will be multiplied by the XTRA number, which can go from 2 to 5. You also unlock another prize tier with XTRA: Match 2 numbers and you win $2. When purchasing Pick 6 tickets, players must already select how they want to be paid in the event that they win the jackpot. If an option is not selected, the prize will default to an annuity scheme. When claiming the prize however, a player can change their selection to the lump sum option, but the reverse is not the possible. To claim prizes of $599.50 and below, winners can go directly to their ticket retailer. On the other hand, prizes of $600 and above will require the winner to fill out a New Jersey Lottery Claim Form and submit this to the New Jersey Lottery headquarters – either by mail or personal appearance. Finally, keep in mind that prizes over $5,000 will be subject to federal taxes, which will be deducted directly from the prize amount. Pick 6 tickets are priced at $1 per play. Pick 6 started in May 9, 1980 as one of the first games of its kind in the US. Pick 6 originally followed a 6/39 matrix, then switched to 6/42, then 6/46, before finally adopting its current 6/49 format.